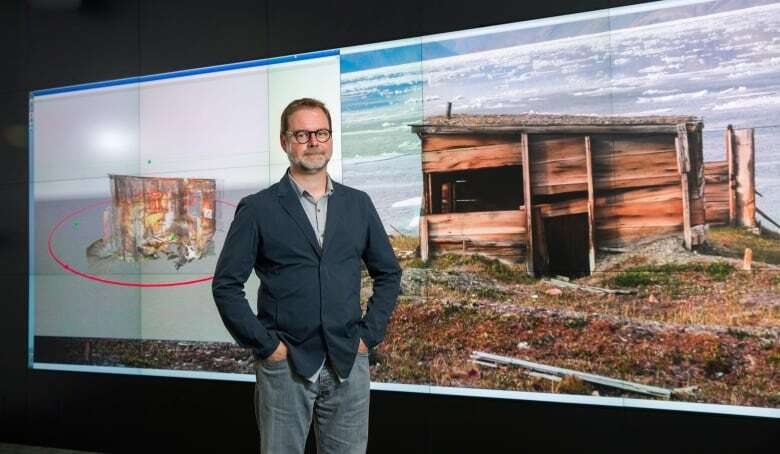 A Calgary professor will return to the High Arctic next summer to complete the scanning for a virtual replica of Fort Conger, built by British explorers on Ellesmere Island in their quest for the North Pole in 1875. A historic fort threatened by melting permafrost in one of the most remote locations on Earth might be preserved thanks to 3D technology. 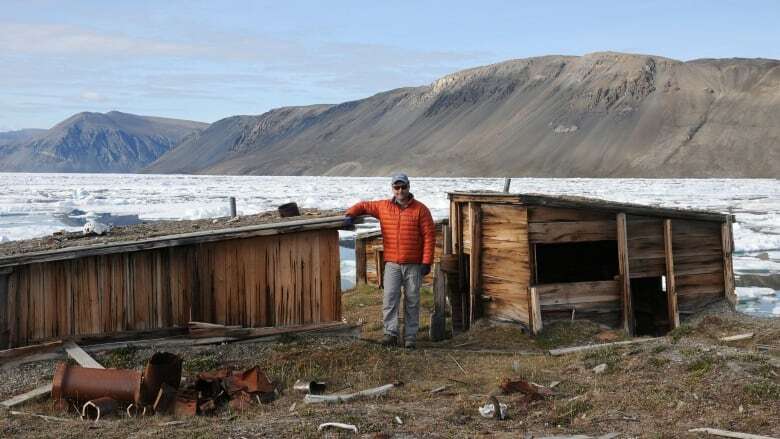 "Melting permafrost is causing the surface area to sink and erode and that's damaging the wooden buildings," said Peter Dawson, a University of Calgary archeology professor. "A lot of these historical sites in the Arctic are actually being impacted by the effects of climate change," he said. "We were finding the depletion of sea ice was creating storm surges which were flooding some sites like Herschel Island and there's a large turn-of-the-century ... whaling settlement which has been flooded several times in the last 10 years." 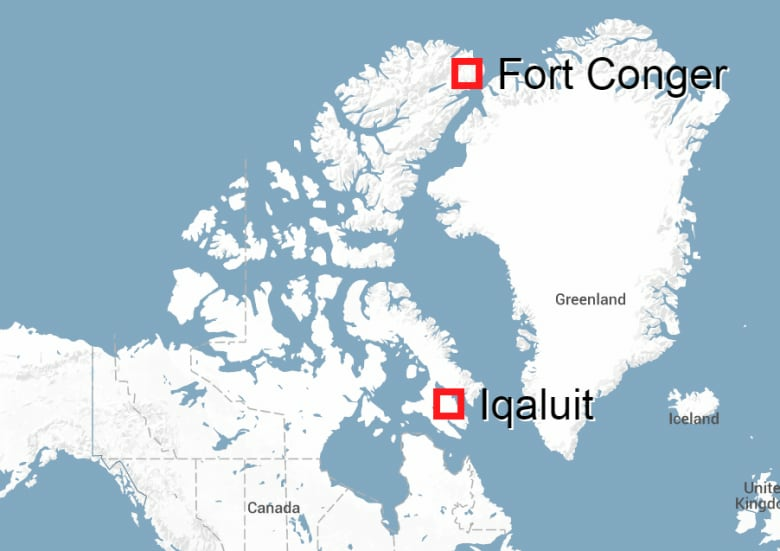 Fort Conger is located on Nunavut's Ellesmere Island. (CBC)Dawson used a borrowed 3D digital scanner to record every building, rock and artifact at Fort Conger in 2010. He intends to do the same thing next year with his own scanner after receiving a grant from the Canada Foundation for Innovation. The scanner, about the size of a lunch box, sits on a tripod, rotates 360 degrees and emits beams of laser light millions of times a minute. It measures how long it takes the beams to strike the surface of a building or artifact and return to the scanner. "We created a scan of the entire site — an area of about 32,000 square metres — and captured all of the standing structures and building foundations and artifacts. We now have basically a very accurate three-dimensional map and model of the site as it appeared at that time," Dawson said. By re-scanning next year, he will be able to record any additional damage and, if necessary, mitigation work can be done. Damage from melting permafrost is just one of several risks as Arctic ice opens up and allows more adventure tour companies to operate in the region. That leads to more people wandering over deteriorating sites. 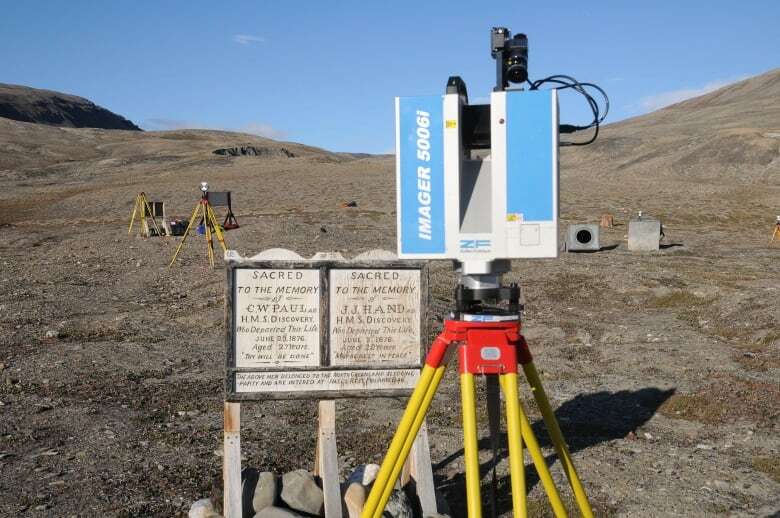 A laser scanner used at Fort Conger on Ellesmere Island is shown in a handout photo. (University of Calgary/CP)"You can get 40 or 50 passengers disembarking at a time and wandering around and it's very difficult to monitor the impact these visitors are having," said Dawson. "They can pick up artifacts or accidentally damage a building." Lady Franklin Bay is an inlet on the northeastern shore of Ellesmere Island. The expedition in 1881 involved 25 men who set sail from Newfoundland to the bay, where they planned to collect a wealth of scientific data. Three years later, only six survivors returned. Many of the men starved to death after attempts to bring in relief supplies failed. includes the search for the Northwest Passage and the North Pole," said Dawson. "It was one of the first co-ordinated attempts by circumpolar nations to gain some sort of understanding about the Arctic climate."